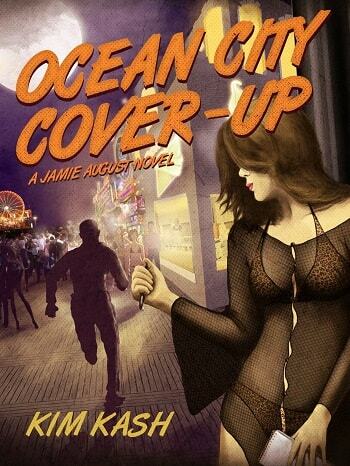 Kim Kash is the author of the mystery novel "Ocean City Cover-Up: A Jamie August Novel." I was born and raised in Maryland, and consider it home. However, several years ago my husband took a job in the Middle East. Since then I’ve been traveling like crazy, because we’re now so centrally located to much of the rest of the world. Since we moved here I have visited fifteen new countries. So, despite the twinges of homesickness, I’m incredibly grateful for this new life as an expat. Writing the Jamie August mystery series allows me to reminisce about my home state, and also make up fanciful stories about it. My knee-jerk answer to this question is that it’s a chick-lit title, and would appeal to fans of Janet Evanovich (especially the early entries in her Stephanie Plum series.) 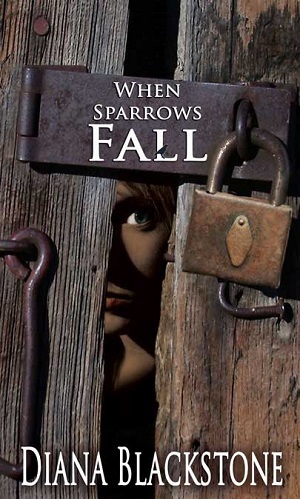 However, the first book in the Jamie August series was recently reviewed over at Underground Book Reviews, and their take on it was quite different. They said, “Anyone looking for the mild-mannered lady detective usually found in G-rated cozy-mysteries won't find her here - Jamie August is no wallflower and has no problem using her sexuality to get what she wants. She can hold her own in the hardboiled detective tradition.” So, chick-lit or not? Hmmm. The series is definitely comedic. That said, my hope is to write Jamie as someone to laugh with, not laugh at (at least most of the time.) Jamie is far from perfect, but she’s smart and she’s self-aware. And she’s definitely not waiting around to be rescued. I hate that! The helpless girl strategy is so tiresome—in real life and in fiction. If you’re with me on that, then "Ocean City Cover-up" may be for you. In this book, Jamie is up against Russian mobsters who are gunning for the daughter of an oil tycoon. Without giving too much away, tell us a bit more about the mobsters. I got some advice from someone in a position to know, that the Russian mafia is not a laughing matter. Basically, my friend said it’s really annoying when authors write about the cute investigator slipping out of a mobster’s clutches by twirling her hair and saying something flirty. I tried to keep that in mind when writing "Ocean City Cover-up." I hope I made these Russians scary enough. Well, except for that one time when a mafia hit man busts in on a meditation session in a New Age bookstore. It’s a balancing act, to write a comedic mystery that still retains some tension. Jamie goes on a frozen custard fitness plan. What does a frozen custard fitness plan entail? Not so fast, my friend. I cannot divulge this valuable trade secret. I’m hoping to sell millions of copies of "Ocean City Cover-up" for this piece of information alone. I may even do a spin-off diet book: "Jamie’s Foolproof Frozen Custard Fitness Plan: Leopard-Print Bikini-Ready in 30 Days." I’ll get celebrity endorsements, put up a web site full of testimonials, maybe do an infomercial. I’m going to be rich! What places can readers expect Jamie to visit in this book? The action is centered around Ocean City, with a big side trip to Dubai for a stay at an oil tycoon’s penthouse apartment. There are also stops in Hampden and Dundalk, two iconic Baltimore neighborhoods on opposite ends of the hipster spectrum. The early entries in Janet Evanovich’s Stephanie Plum series were a big inspiration. I’m also a big fan of Elmore Leonard, especially his vivid evocations of place. When I’m in Ocean City I try to imagine how he would see it, the details he would think are funny or strange. Not surprisingly, I love Laura Lippmann’s Tess Monaghan novels. Her stories aren’t comic, but they sure are steeped in Maryland goodness (though almost always Baltimore rather than the Eastern Shore.) Lippmann clearly knows Baltimore like the back of her hand, and I can only hope to emulate her abundant and careful descriptions of place. As a kid I devoured the Nancy Drew and Dana Girls series, so I’m sure their influence is in there—at least the notion that girls don’t need to wait around to be rescued. I am more organized about my writing than I used to be. Writing is a creative process, of course, but it’s also a job that must be seen to on a regular basis. I now use the same deadline-driven schedule for creative writing that works for my freelance writing business. Oddly, the structure created by treating my fiction writing like a job gives me a greater sense of freedom to “play” when I sit down to research or write a Jamie August book. I love it! It gives me another platform as an author. As an American reader living abroad it gives me a tremendously better selection of books than I can get locally. Ten years? That’s hard to say! In the next five years I hope to continue growing the Jamie August series, and see some commercial success. Beyond that, our family will likely be moving out of the Middle East, my husband having met his professional goals. Will we move back to Maryland? To Europe? To a boat, and wander the Caribbean? I’m sure I’ll keep on writing, but who knows? Maybe I’ll miss this part of the world and have to start a new series about an American expat. 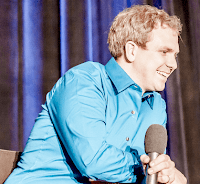 Certainly I’ve got stories…. If there were a newspaper article about you, what would the headline be? In my freelance business, I write business reports, web content, and marketing pieces. I crank these things out, they get edited, and I don’t care. I mean, I enjoy the work but I have no emotional investment in it. With my fiction writing, I can’t help but take it personally. I get butterflies in my stomach when my editor sends a marked-up version back to me. Did he like it? Did he think it was stupid? I pull my socks up and do the edits; it’s not the end of the world. Still, it would be great if I could look at my fiction as dispassionately as the other stuff. Then again, maybe that would be a sign that I wasn’t fully expressing my own creative voice, wasn’t putting enough of my heart into it. Book three in the Jamie August series is already in the works. I’m in the research phase right now, which I love! In this case research involves steeping myself in books and movies about … bank heists. Yes! "Ocean City Cover-up" comes out in paperback and as a Kindle Edition on June 29. The Kindle book is already available for pre-order. I’ll be doing a book tour in July; if you’re in the Maryland area please check my web site for the tour schedule and stop by to say hello! 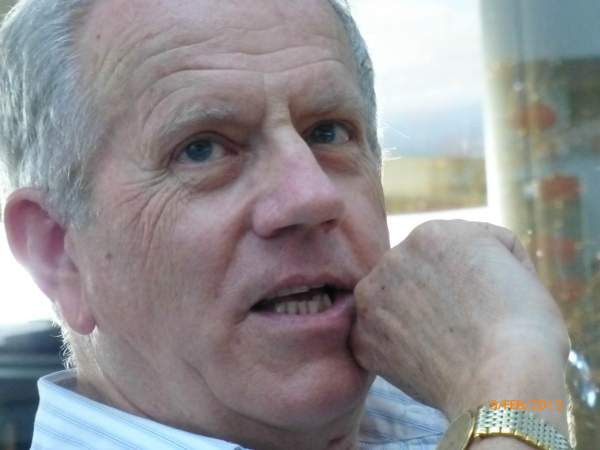 Werner Stejskal is the author of Oliver and Jumpy, the children's picture book series. Today we'll be discussing stories 16-18. Born in Vienna, Austria, I am now living in Perth, Australia with my wife, two married children and three grandchildren. I worked in the printing industry over many years and later for the United Nations in Vienna. 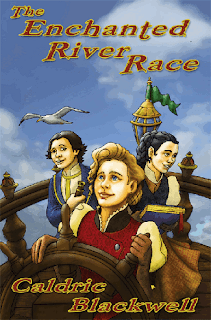 After an eventful life, now retired, I began to write children’s stories. I discovered some brilliant illustrators through Odesk, narrated the stories myself for YouTube and finally took the next step into publishing ebooks. Describe your new book, “Oliver and Jumpy, Stories 16-18,” for readers. “Oliver and Jumpy”, are best of friends and experience many adventures together. Oliver is a black-and-white tomcat, who is very self-assured. As a matter of fact he says: “I love myself!” quite often. But his best friend Jumpy is aware that he is only putting up a front! Oliver has a soft heart and will always want to help others. The great thing is Jumpy’s pouch, which Oliver loves to ride in! He calls her his kangaroo taxi! Stories 16-18 is the sixth book in the series. Story 16: Who am I? - Oliver loses his memory. Story 17: Up the Tree - Oliver explores a tall tree and meets many animals there. 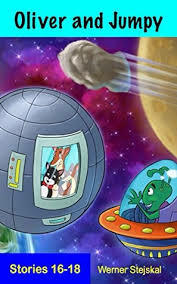 Story 18: Moon Crystal – Oliver and Jumpy are flying to the moon. Who do you think would most appreciate these stories? The elaborate illustrations would already interest very small children with their mom explaining the stories. Early readers would benefit from the unusual language for picture books, while many adults like the quality of this sometimes controversial series. What inspired you to write an illustrated cat series? Our daughter has a black cat. I like cats. This must have been an influence to the inspiration I was given one sleepless night after a West to East flight from Europe. I suddenly had the idea of Oliver and Jumpy laid out before me and began writing the next morning. I wrote 60 stories within two months. The illustrations of all the stories will finalize this year. Your work is unique in that several illustrators were involved with the project. What was the process of getting the book illustrated like? 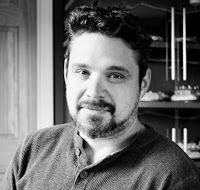 I was extremely lucky to find Marvin Alonso through Odesk (now Upwork). He immediately understood what I wanted and, very independently, developed the characters for me in Disney style (my idea). Unfortunately he found another calling after a while. I tried out three illustrators with lesser results until I found Maycee. She and her husband Allan have been the rock of this series. They are just working on Story 55 and turn out a new story every three weeks. Tell us a bit about your creative process, from the initial idea to the finished manuscript. As mentioned before, the initial idea was given to me in a sleepless night. Most of my story ideas came to me while swimming leisurely in the public pool. I simply let my thought wander and grabbed hold of interesting story concepts. It was helpful to go through all the common children's books scenarios as well. How do you hope readers react to your series? I hope children will react with delight looking at the sometimes complex pictures and learn the subtle lessons hidden in several of the stories. I just love Walt Disney cartoons and found that style of illustrations the most suitable for my stories. The writing style is uniquely me, I think. I am Oliver to a certain degree! Ebooks are here to stay and increasingly so. Ebooks are convenient and will replace printed books to an large extend. They are just such an important tool for authors. But we are just at the beginning of this revolution. I will bring this series to its glorious end sometime this year. There is the possibility that I will publish it in other languages as well. Print-on-demand is next. I will look into conventional printed books if I should receive an offer. My main aim for the short term is massively promoting this series and creating a desirable product. A TV series will be the ultimate aim. I treat my work as business. I have experience in running successful businesses and there is nothing to dislike. I put my full effort behind any of my projects. If one does this with a sensible approach then success us assured. I have to admit that after 60 stories I did run out of ideas, but that was just as well. I had to concentrate on producing the series. I love my Ipad and do most things with it. I have to use my laptop to create the mobi files for Amazon. I will eventually do another series with an Emu and a Koala bear, who loves to ride the Emu. But that is years down the track. The value of a product is shown by how many people use it. The more kids get to know "Oliver and Jumpy" the happier I will become. The crucial factor to the success of a picture book series are the participation of moms/mums of this world. So, mothers unite in the quest for Oliver's fame! Thank you! 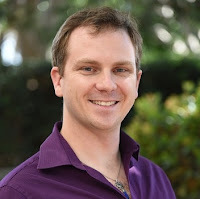 Today we're happy to share an interview author/illustrator D.Jude Miller about his book "Earclaw and Eddie" as part of its blog tour. D.Jude Miller actually encompasses my first name (Dan) and my middle name (Jude) and I am from Queens NY. I have been drawing for longer than I have been doing anything that I can remember and I am lucky to have one of the greatest jobs in the world. I draw cartoons! I get to spend my days creating funny characters and crazy stories which is everything I could have ever wished for since I was a kid. Eddie is just a regular guy who is right on the cusp of something big. Unfortunately, it's not the big thing he's hoping for. He wakes up one morning to find a giant purple monsters sitting right on the top of his head! This obviously is not a situation that anyone wants to be in so Eddie sets out on a lengthy journey to find a way to rid himself of the burden named Earclaw. I really hope that this book appeals to both children and adults. The story is simple but still clever while the art is colorful and fun for kids but still stark and striking enough to be interesting for their parents. I wanted to create an atypical children's book that looked very different than all the other books on the shelf. What inspired you to write a book about a regular guy who must deal with an unwelcome visitor living on his head? 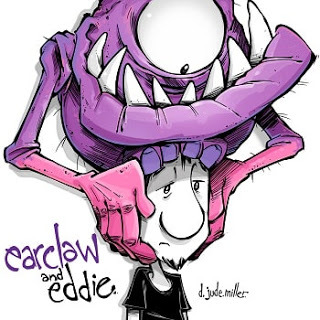 "Earclaw and Eddie" is a very personal story for me, almost a picture book autobiography. After spending many years with an undiagnosed illness it was finally revealed to me to be allergies. Thankfully I'm fine now. This book was a way for that unpleasant time in my life to come full circle into something great, as well as a chance to hopefully help children realize that life is many times littered with obstacles that can be overcome, resolved or at least accepted. Tell us a bit about the protagonist, Eddie. Eddie is just an average guy who is trying to quietly get by in his life. He couldn't have expected and definitely does not appreciate the unwelcome visitor Earclaw. All he truly wants to do is get back to being average and free of his "problem." When did you decide to combine your love of drawing and writing to create books? Originally I planned on being an editorial animator, but that was really boring. Then in college I trained to be an editorial illustrator. It wasn't until after college that I even started writing. I had an odd style of drawing so I realized that if I wanted to make worlds for my characters to exist in, then i was going to have to create those worlds myself. I usually write my stories backwards. That solves the tricky situation of not knowing how to end a story since I write the ending first. Once I have an idea, I have to design the characters. Sometimes I can find them on the first sketch, other times it can take quite a while. Once I have characters, then I can create thumbnail story boards, then refined story boards, finally clean drawings and then all the color gets done digitally. Overall a 30 page book takes probably 200 separate drawings. Does the art or the story come first? Almost always the story comes first. I have always felt like both the stories and the characters for everything that I will ever do already live in my head and come out when they're ready to be on the page. So, usually when it's ready to exist, it flows pretty easily. Are there any authors or illustrators who have influenced your style? I've never been an artist that was inspired by other illustrators since I try to make every project completely different than the last. But, I have always been greatly influenced by movies, news, conversations, anything that's odd and interesting and has a unique perspective. I am currently working on a very large, exciting project that actually launched my writing career. It's called "Monsters in Manhattan" and is the first in a series of three children's books. I will be releasing book one by Halloween followed by two and three in 2016. This story was my first ever attempt at writing and has taken so long to finish because of its' complexity and detail but it will definitely be worth it. Stay tuned! Is there anything else you like potential readers to know about your book? "Earclaw and Eddie" is definitely different than most of the children's books out there, but I really think that it has an important message of endurance and acceptance that is important for readers of all ages. T.B. is a CEO, rapper, songwriter, and founder of Fire Proof 1 Records. Tell us a bit about yourself and your various projects. I'm a Christian, father, gospel rapper from North Memphis, Tennessee, and I go by the name T.B., which means Truly Blessed. I have come out with 2 projects, Sinner 2 A Saint 1, and currently promoting my second project, Sinner 2 A Saint 2, with over 20,000 units sold. 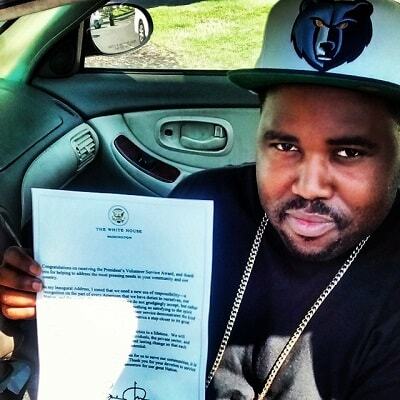 You recently were honored by receiving the President’s Volunteer Service Award from President Obama. Can you tell us a bit about this award and what you were honored for? This awarded is given to those who have made an positive impact in there communities by making a better tomorrow. I feel it is my duty to give back to the community and I was very elated to get honored for my call to service. How did becoming an MTV artist impact your career? It has given me more exposure with the various media outlets. You’ve shared the stage with a lot of talented artists, from Canton Jones to Mr. Del to K-drama, just to name a few. Is there a dream artist you’d like to share the stage with? I would love to share the stage with a secular artist to be able to spread the gospel with their fan base. 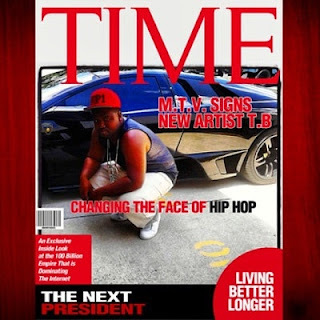 You recently landed on the front cover of the Time Magazine Promo Run. Can you tell us a bit about this? This was one of the perks of becoming an MTV artist. This was such an awesome experience for me. It was a blast working on this project and I look forward to being on the cover of Time in the future. How has the Internet and social media influenced how listeners experience music? Is radio play as important as it used to be? The internet and social media helps artist expand their fan base and makes music more accessible for the fans to support. Radio play will always be important in getting music to its audience, but it is not as important in this day and time because of all the other technologies that are available to help an artist get her/his music heard. In the next 10 years I see myself still doing ministry to impact the Kingdom of God by influencing the youth. What’s the next project you’re working on? I'm currently working on my third mix tape: Sinner 2 A Saint 3, which is expected to come out summer 2016. I'm very grateful and thankful for the opportunity God has given me to help people through my music. Alex Guglielmo is the founder of the homemaking/savings blog the Good Steward Club. I'm a modern-day housewife who loves saving money and experimenting with ways to make our home run more efficiently. When I'm not writing or homemaking, I'm reading the Bible and periodicals and books or traveling with my awesome husband. Describe your blog, Good Steward Club. Good Steward Club is a hub particularly for women taking care of their homes and families. The blog provides lots of money-saving tips, such as how we cut our grocery bill by 40% and some easy ways to cut costs that most people have never heard of. I write about marriage/relationships and all things home, as well. How did you decide upon the name Good Steward Club? The Bible introduced me to the principle of stewardship, which is managing something that isn’t your own. Since God owns everything, we’re just borrowing His money and His time, and I need to treat them with extra care in a way that is honoring to Him. As I'm striving to be a good steward, I want to teach others along the way. What inspired you to start a blog on homemaking, budgeting, and relationships, among other topics? I had given couponing tutorials to a number of people from church, and I thought I could reach more people with the topic of saving money through a blog. And I'm learning so much through day to day home management and marriage, so I figured my lessons learned might be helpful to others, as well. If my openness helps people avoid a mistake, then my errors were not made in vain. Have you always been interested in blogging and writing, or is this an interest that developed recently? Writing has been one of my favorite activities for as long as I can remember, but I always had the romantic idea of contributing to print journalism (you know, the thing where you turn the page to read more...). It took a while, but I've come to accept that people read and consume information in a different way now. And having a blog has been more of a blessing than I could have thought because I've discovered online communities and built friendships in a way that I couldn't have by publishing a newspaper article, so I'm really grateful to be a blogger now. You’ve written on a number of topics, from saving money to marriage to the gospel. How do you decide which topic to write about? Is it unprofessional to say I just write what I want when I wake up in the morning? I've been able to keep a balance between my topics without thinking about it too much. Some days, I’m really inspired to talk about marriage. And other days, when I've discovered a new way to save money or I've gotten a great deal and my passion for saving money is invigorated, I just have to share with my readers. The flexibility to write about what I want is a great part of blogging. You wrote an excellent article about a secret use of peanut butter. Do you have any other handy ways to use peanut butter? Why, thank you! I hope you'll use that trick. I don't have any more tips for the non-edible use of peanut butter, but I recommend everyone buy a bag of Hershey's Kisses and follow the peanut butter blossom recipe on the bag. That is one of the tastiest uses of peanut butter. What is your vision of Good Steward Club five years from now? A lot of blogs have guest blog posts. Is that something you could see yourself doing with Good Steward Club? Kelly from Kelly Cox at Home is preparing a post as we speak. I found her blog through a link-up and discovered that we are like-minded in our pursuit of saving money, caring for our homes and living within our means (no debt for these families!). 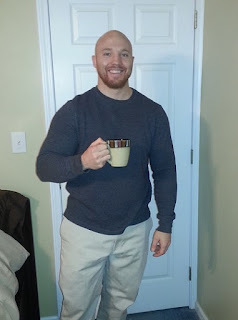 I hope to feature other bloggers in the future, as well. How do you hope reading your blog will impact readers? I hope readers will come away with the knowledge that they can take care of their families on one income with no debt if they are willing work at it. There are some easy ways to save money, but there may also be a call to sacrifice (which, if you sacrifice long enough, just feels like normal life). Since we live off of my husband's income in the 4th most expensive city in the country (according to Kiplinger), I hope to be a beacon for women who want to come home to take care of their kids or just take care of their husbands and homes. If you really want to, chances are, you can make it happen if you get creative. I also pray that people will come for the practical advice and stick around for the "why." The reason I put so much effort into our home and finances is because I know it is honoring to God. I pray everyone who comes across my blog will read the Gospel page, because it completely explains why I am who I am today. And if readers stick around long enough, I’ll likely let them in on a few secrets of who I was before I became a Christian. I’m building up a community on Good Steward Club, so if you leave a comment, you’ll hear back from me. I really appreciate my readers, and I want them to know it. I’m also open to feedback. If there’s anything you’d like me to talk about, let me know! I want to provide relevant, useful information for those striving to be good stewards. 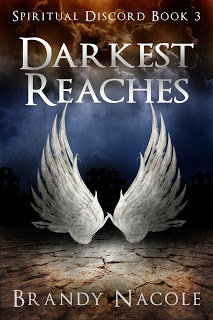 We're proud to interview Brandy Nacole, author of "Darkest Reaches – Spiritual Discord Series Book 3", as part of the "Darkest Reaches" blog tour. I’m a mother of three kids who I hope inherits the love of reading like I do, and considering my daughters book shelf, I’d say it is looking good. Besides writing and reading, I spend most of my time outdoors hiking, trail riding, and canoeing. Many call me crazy due to my tendency to change my mind about plans, plots, etc., every five minutes, but hey, makes like interesting! Describe the plot of “Darkest Reaches,” book 3 in the Spiritual Discord series, in a few sentences. After Sabrina saved him from the hounds, Kayson now has to find a way into Hell to save her. His only option is to ask Iraja, a fallen angel who doesn’t do favors without a price. Meanwhile Sabrina struggles against temptations she was made for, ones she’s fought against for over a hundred years, while facing her biggest fears. Who do you think would most appreciate “Darkest Reaches”? Readers who enjoy paranormal and paranormal romance stories. There are all kinds of beasties in the Spiritual Discord series: vampires, werewolves, fallen angels, hellhounds, witches, demons, and more. Iraja, a fallen angel, stands in the way of Kayson in this book, yet also has the potential to be a help. What can you tell us about Iraja? When Lucifer created the hounds to destroy his blood children – full blooded witches, vampires, etc. – everyone believed they all had perished. But they haven’t. Iraja has kept his massive estate safe because of the full blood he has kept hidden and chained for decades. And while Iraja will help other fallen angels who need shelter, when it comes to the halfs, they die on site. For Kayson, his biggest struggle is going to be convincing Iraja to allow Katarina to help him save Sabrina, who is a half. More than ever, Sabrina’s faced with the downsides of being a vampire in this book. Without giving too much away, could you describe her situation for readers? Sabrina was turned against her will, making her a half, not a full blood. Shortly after being changed, the hounds were unleashed on earth to kill all blood children. She has been on the run since then, fighting against her vampire instincts and needs to stay off the radar. But after saving Kayson, she is now in Hell and being forced to embrace those needs and fearing her final fate – eternity in Hell. How does this book compare to the first two books in the Spiritual Discord series? While facing new threats and problems in "Darkest Reaches," Kayson still has yet to prove his intent that started in Broken Faith. He fell from Heaven because he believed what no one else does, that the halfs that remain on earth can once again obtain their souls if they so choose. As the story has built over the last two books, more and more are coming to terms with what Kayson believes. Can you tell us a bit about your creative process for this book, from the initial idea to the finished manuscript? I look to many authors for support and guidance, but my biggest influencer is Richelle Mead. I fell in love with the VA series and her fun-loving spirit. She is quite the role model. Are there any aspects of your life, outside reading and writing, that influence your writing style? It seems that I can find ideas from most things around me. For instance, "Broken Faith" started churning in my head after passing two road signs. When my muses are refusing to talk to me, a good walk can usually get the motor running again. Titles! Set me in front of a computer, I can write all day. And unlike most, I enjoy proofreading and editing, which is why I offer to proofread manuscripts for others. But titles are my kryptonite, no joke. I don’t know why, but sometimes it will take me months for the fireworks to light and go boom. I am currently working on a standalone, "Deep in the Hollow," based on a local legend in my area, which I’m hoping to have released later this summer. A year ago Jo's life changed forever, and everyone thinks what happened is her fault. But the mystery that lurks behind this small town will reveal not only Jo's innocence, but centuries of blood and despair.